- Winner of the Merit Award Santiago Antunez de Mayolo Gomero 2015 in the category "Research in Science" awarded by the National Council of Science,Technology and Technological Innovation of Peru and Peruvian National Academy of the Sciences. 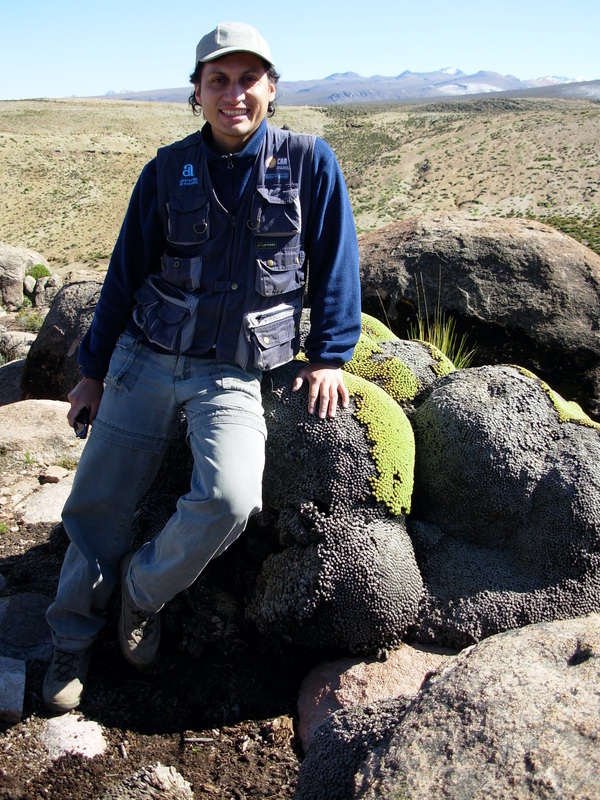 2009- 2012 Visiting Lecturer, Biology Department, Universidad Nacional Agraria La Molina (UNALM), Peru. 2008 - 2011 Lecturer in Ecology, Environmental Science Department, University of Castilla-La Mancha, Spain. Part of the staff of the CIP- Crop Ecophysiology and Modeling Laboratory assessing plant reflectance in cassava. a) What is the most appropriate water management which allows significant irrigation water savings without tuber yield reductions? b) What are the leaf traits that denotes plant functional response to drought in cropping systems? c) ﻿How does resilience building helps in solving the dilemma of increasing water restriction for agriculture in the face of increased food demand﻿? d) How does vegetation structure (richness, ecological diversity and others) interacts with multifunctional ecosystem processes? Growing potato in dry agro-ecologies is a challenge, but when successful, smallholder farmers dramatically increase income. Introduction of drought tolerant varieties and appropriate water management under those conditions are two areas where CIP is conducting research. We are searching for integrative traits that could facilitate selection of drought tolerant genotypes and water tolerance thresholds in those varieties. In the paper by Ramirez et al. (2015a, see video abstract), we showed that carbon 13 isotope discrimination in potato leaves, prior to tuber initiation, can be used to establish physiological status under different water restriction conditions whereas in the tubers provide breeders with and integrative selecting tool for drought tolerant genotypes, very early in the phenology of the plant. On the other hand, the ability to delay senescence -i.e. low rate of chlorophyll reduction and a late senescence onset- seems to be an important trait related to drought tolerance in potato. In the papers by Ramírez et al. (2014) and Rolando et al. (2015, see video abstract) we evidenced that the genotype that maintained the highest yield under water restriction conditions showed the longer period of biomass accumulation driven by its long growing cycle with a concomitant delayed senescence. 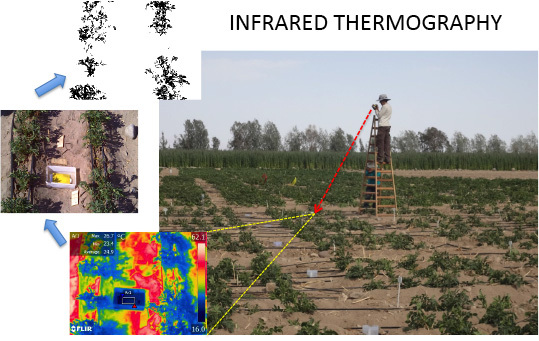 Leaf greenness temporal rate (a surrogate of senescence) can be used by drought phenotyping programs as an important drought related leaf trait. Stress memory in plants is a phenomenon related to the way previous exposure to different types of stress (priming) can alter subsequent responses to future stresses and condition the plant to more effectively respond to them. 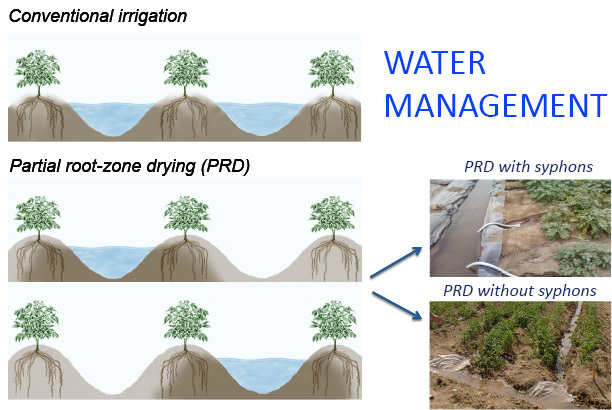 Long water stress memory in potato plants subjected to water restriction, expressed in tuber yield in the subsequent clonal generation has been reported by our team (Ramírez et al., 2015b). However, more studies are necessary to understand the underlying epigenetic mechanism of the long-term stress memory induction, and to identify other priming techniques based on the pre-treatment with mild stresses of sexual seeds or in vitro plantlets. We think that these studies are important for crop and seed management oriented to improve water restriction response in potato in the face of climate change.